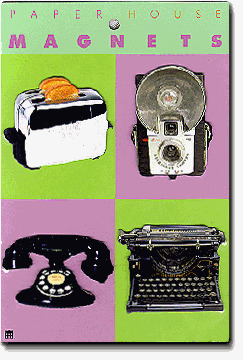 This museum collection gift set contains four (4) diecut fridge magnets in classic household items designs. The Underwood Typewriter (lower right) measures approximately 3â€ w x 2.25â€ h. The others are proportionally sized. Full strong magnetic backs.